Ylang Ylang oil is one of the scents that massage therapists use in their treatments to provide the best essential oil benefits ... relaxation and stress relief. Ylang Ylang essential oil benefits and uses for relaxation and healing of mind, body, and spirit! With it's funny, spider-like shape, the flower that produces this oil is highly aromatic and known to provide dramatic effects on the nervous system, even relieving anger outbursts, anxiety, depression, and frustration. Ylang Ylang trees grow primarily in Asia, and range from 60-65 feet tall. Flowers are harvested only in the nightime hours. Although trees produce the flowers all year long, they are most abundant in the spring of the year. Helps balance oil production - great for oily skin! It blends well in a massage oil recipe to provide essential oil benefits for common ailments like headaches and low back pain. Remember that essential oils are very concentrated and should never be used directly on the skin, always add to a carrier oil. Although it is non-toxic and non-irritant, excessive amounts may cause sensitivity and nausea. This oil is a vegan product and for massage therapy you should add 2-3 drops of the essential oil to 3 tablespoons of carrier oil. I always recommend an organic essential oil, and essential oils do not come any purer than doTERRA. DoTERRA has been a very popular organic skin care provider for many years, but is now establishing a strong business following in the United States. 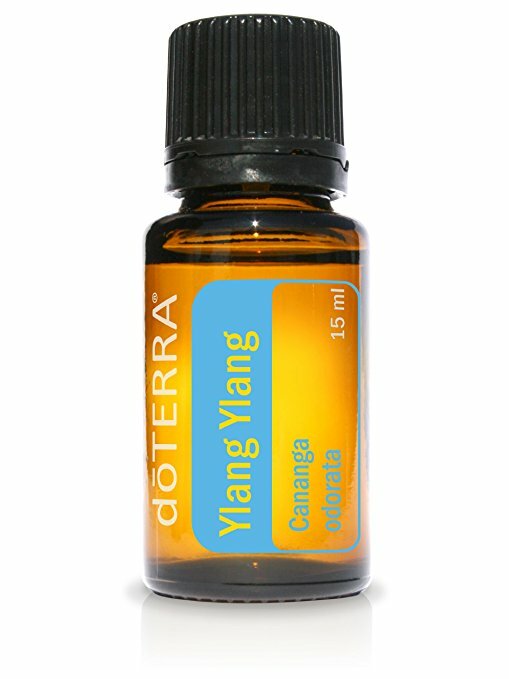 Ylang Ylang Essential Oil instantly eases tensions and stress, and allows relaxation of the mind, body, and spirit. When combined with a massage oil or cream, it provides a relaxing, calming scent. Ylang ylang, scientific name Oz Cananga Odorata, is steam distilled from the leaves of the flower of the ylang ylang tree, and often takes 14-15 hours to distill.